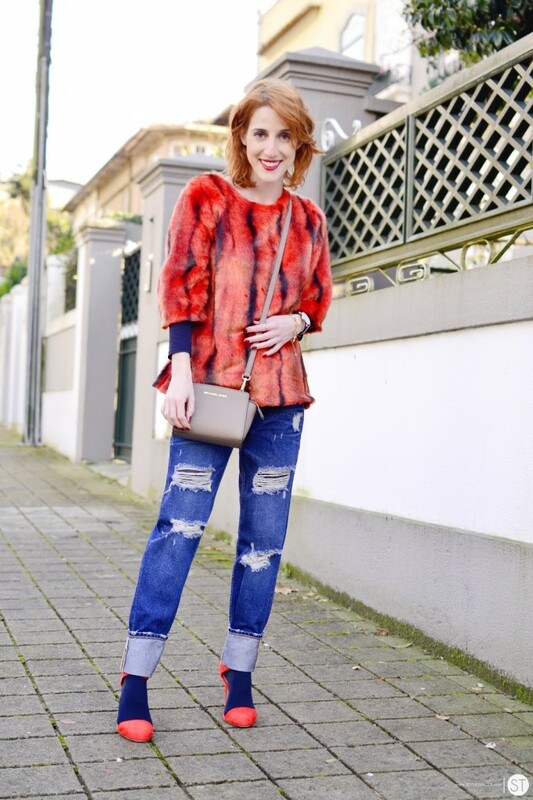 In today's post we are going to see awesome ways how to wear and mix orange with blue outfits. I tell you honestly, orange and blue is one of the most unexpected color combinations what makes any woman look sassy and hot and you know what? Many designer brands make this combo look hotter and hotter. Why do I like this combo? First of all orange is a bright color what attracts attention, while blue is a complementary color what ideally tones down brightness and harmonizes other shades. When you combine these two colors in a result you have an ultimately chic pairing what makes you look perfect and chic. If you are thinking of sporting these colors, then you better check out this post, as I've gathered beautiful ideas for your inspiration. 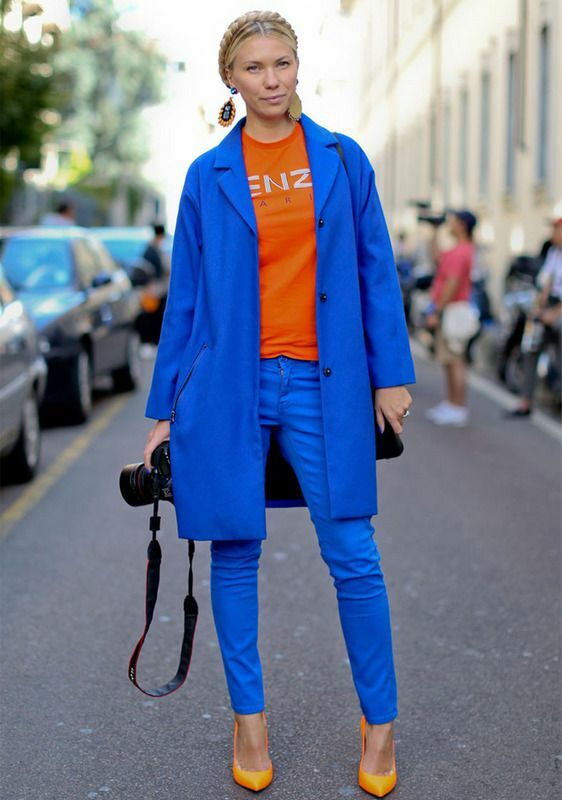 If you want to refresh your standard top, blue jeans and black shoes look, then you better cover yourself in a bright orange cover up (trench, jacket or blazer). You can always centralize orange piece by surrounding it with blue colors, as you can wear orange dress and complete it with eye-catching blue accessories. You can always choose blue faded shades and try them with orange, so you can create a simple and feminine look. If you are bold enough, then you can try to wear printed garments in orange and blue shades. Anyway, let's have a closer look at these ideas.